Consumers generally hope that, when making large purchases, they weigh the objective conditions of the market along with their finances and idiosyncratic tastes. Yet consumers often find themselves without the necessary time to learn about every possible product so they turn to experts and brokers who presumably know more about a particular market. In the housing market, this means using real estate agents to help sort through all the available houses in a desired neighborhood and within a given price range. In a recent study published in Socio-Economic Review, I show that agents do a lot more than just show prospective homebuyers available units. 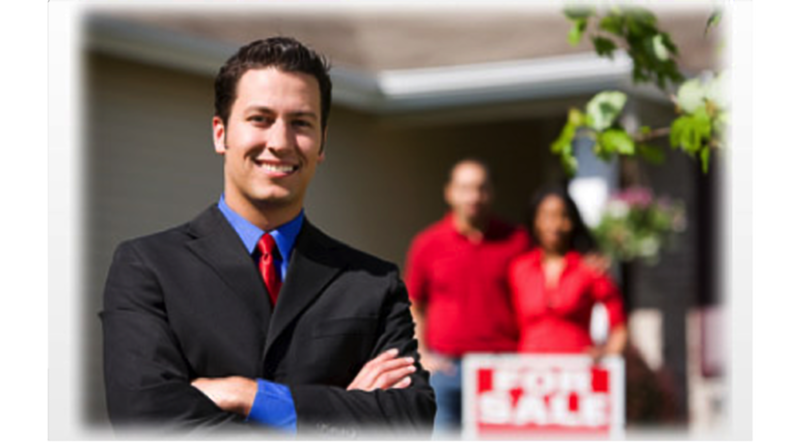 Part of their work is to get buyers to feel different emotions during the search process. These emotions then impact economic decisions. Recently, sociologists, economists, and psychologists have come to understand emotions as central to decision making. Emotions help economic actors cope with uncertainty and they help create meaning and value. Houses, because they are products that ground our daily routine and cost a lot of money, are necessarily going to evoke a lot of emotions. How do real estate agents manage homebuyers’ emotions and how do these emotions affect purchasing decisions? To answer these questions I spent over two years observing interactions between agents and buyers, and I interviewed agents and buyers from across New York State. When we bought our last apartment we had an agent we didn’t really like, he was always so glum. We started calling him Eeyore [because] he was never excited about anything, and I think that mattered. We never really felt great about our last place. Agents wanted buyers to feel excited because it made them more likely to say yes to a purchase. To get buyers excited, agents tried to highlight characteristics about buyers’ tastes or personalities and connect them to specific characteristics of houses or neighborhoods. This matching work really mattered for buyers’ choices. For example, Lucy, an agent working in Brooklyn, had clients who seemed open to living in multiple neighborhoods. After learning her clients were interested in literary history, Lucy decided to focus on Brooklyn Heights, a neighborhood known not only for its classic brownstones but also for, at various times, being home to writers like Walt Whitman, W. H. Auden, and Arthur Miller. When they visited houses in Brooklyn Heights, Lucy would casually mention where different writers had lived and talk about how the neighborhood was the first ever in NYC to be designated a historic district by the city’s preservation board. After a few months of searching, the buyers decided to purchase one of the houses they had seen in Brooklyn Heights. When I asked Lucy and, later, one of the buyers why they had chosen that particular house, both gave similar answers citing the neighborhoods history and cultural cachet. This kind of matching work, where agents connected aspects of the buyers’ selves to particular houses or neighborhoods, generated feelings of excitement and even changed buyers initially stated preferences. Most buyers suffer from fatigue really quickly, so I try to show the easiest [units] early, like second, third, fourth…It’s the time they’ll most likely go for something, even if it’s a little higher than their price range…So when I think one really suits a buyer, like the one I think they’ll buy, I try to show it second or third. Agents from across the state, working at various price points, reported sequencing as a useful strategy for evoking excitement and other positive emotions in buyers. One agent working in the Hudson Valley told a story about how she strategically showed a couple visiting from NYC the house she thought most suited them last so they would be thinking about it on the train ride back to the city. The couple called her from the train, excited about the house, and wanted to put in an offer. While agents generally wanted buyers to feel excited about houses and neighborhoods, they also recognized that fear and anxiety were great motivators. Agents from all over the state reported highlighting market scarcity to their clients in some way. They would quote recent statistics regarding the lack of available inventory, the rise of the average number of bidders, or the extreme shortening of time houses remained on the market. Buyers used words like tense, scared, or worried when describing the search, particularly after agents had told them about market scarcity. Looking at interactions during the housing search shows just how malleable buyers’ preferences can be and how consequential the work of market intermediaries like real estate agents is in producing consumers’ choices. Interactions with agents induced various emotions in buyers that then affected what they wanted. The power of emotions to alter homebuyers’ stated goals suggests that researchers looking to understand economic outcomes should pay attention to the interactional processes that produce individual preferences and shape market action more broadly. Max Besbris is a PhD candidate in the Department of Sociology at New York University. This article summarizes findings from “Romancing the home: emotions and the interactional creation of demand in the housing market” in Socio-Economic Review. My wife and I are thinking about buying a home soon and we too are very excited about the idea of being homeowners. I think people should live in an area that they feel excited and connected too like you said. It’s going to be hard to get anyone excited about an area or feature that you aren’t excited about yourself. Thanks for sharing!